The annual Global Gypsum Conference is well-known around the world as the largest meeting of gypsum professionals and as the must-attend gypsum event. The conference in 2019 will meet in Kuala Lumpur and will appeal to gypsum and wallboard producers from around the globe. Strong delegate groups are expected to attend from Asia, as well as from around the rest of the world. The not-to-be-missed Global Gypsum Awards Gala Dinner will take place on 23 October at the spectacular Tamarind Springs KL. If your business is gypsum, you must attend the Global Gypsum Conference, Exhibition and Awards in Kuala Lumpur in 2019! Early-bird registration is £595 and ends on 16 April. After the early-bird rate, the standard rate of £695 will apply from 17 April until the end of 27 June, followed by the late rate of £795 from 28 June and the final rate of £895 after 10 September. Gypsum producers benefit from a £100 discount on these registration fees. Confirmed speakers register for £495, while confirmed gypsum-producer, keynote and academic speakers register free. Registration fees do not include the conference dinner. The Global Gypsum Awards Gala Dinner will take place at the Tamarind Springs jungle resort and costs £125, bookable during registration. The popular Spouse Tour Programme includes the Welcome and Farewell receptions, the Global Gypsum Awards Dinner and two tours during the conference, and is bookable during registration for £295. Please note that fees quoted do not include any applicable local taxes. A company called EXHIBITION HOUSING MANAGEMENT (or similar) has called or emailed our delegates claiming they are handling our group's accommodation needs. THIS IS A SCAM please ignore their calls and emails. They have not been authorised by us and you can end up losing your money. ONLY use the link on the accommodation page to book your rooms at the conference hotel. The 18th Global Gypsum Conference has successfully taken place in fabulous Vancouver, with strong delegate groups from the Americas and from Asia, as well as from around the rest of the world. The Global Gypsum Awards Gala Dinner took place at the Vancouver Aquarium on 22 October. The Farewell Party took place on the 34th Floor of the Sheraton Wall Centre South Tower on the evening of 23 October, with views over Vancouver and with entertainment from the Siobhan Walsh Jazz Group. Read the full conference write-up here and view the photo gallery here. The 17th Global Gypsum Conference has successfully taken place in Kraków, Poland. A full review and photo gallery are now available. • Thanks to the whole team! The 16th Global Gypsum Conference, Exhibition and Awards has successfully taken place in Bangkok, Thailand, with around 300 delegates from 40 countries. Please see the Global Gypsum Conference 2016 review. Good presentations and organisation of networking activities. Another great conference. Thank you! The timing of the event was perfect and we appreciated the kind treatment from the organisers. Thanks and CU in Krakow! The 15th Global Gypsum Conference, Exhibition and Awards has successfully taken place in New Orleans, USA. 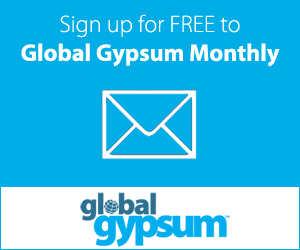 You can now read the Global Gypsum Conference 2015 review. The speed dating was a great chance to meet new people: I always enjoy my time with Global Gypsum. Global Gypsum 'Gala Dinners' are always very good: You always find great, interesting venues. Quote of the conference: "Great job to you and your team on the Global Gypsum conference! I have been to 100+ conferences over the years and this is one of the best run and most beneficial with high density of industry decision makers." - Combustion expert, conference attendee.